Tom Ross had a good life as president of Davidson College. He had put the college in strong financial shape despite a recession. He had launched an ambitious financial aid program. He had engaged in a strategic plan that refined the school’s direction. The basketball team even came within one basket of making it to the Final Four. So when the University of North Carolina System came calling, asking whether Tom would consider becoming president, of course he said no. But the UNC System persisted. Leaving Davidson, his alma mater, was the hardest career decision he’d ever made. What ultimately persuaded him to come to Chapel Hill was the same thing that has driven every one of his prior career moves: Each position presented him with problems, and the opportunity to solve them, and a chance to do good on a larger scale. Since 2011, Tom has led the system through its most challenging time in generations. The implosion of the global economy prompted severe budget cuts to the universities. The majority party in both houses of the General Assembly changed, with a corresponding change in the partisan makeup of the UNC System Board of Governors, resulting in a steep leadership learning curve. During that time of transition, pressure and tension, Tom held true to his principles of treating everyone fairly and with dignity, and to his goal of educating young people with excellence. During his tenure, Tom has worked to improve students’ chances for success in a number of ways. He started important discussions around how best to assess student learning and launched efforts to help faculty look at their pedagogy — and adjust to the use of new technology. He also presided over standardizing and improving the consistency of policies and practices at the universities. “His strengths, in terms of his role at the University, is what has characterized all of his career: a sense of fairness and a confidence in the ability of people in the democracy to do great things,” said his close friend Tom Lambeth ’57. Tom has devoted nearly all of the past 40 years to public service. Immediately after graduating from UNC’s law school, he taught public law and government at UNC’s Institute of Government before returning to his hometown of Greensboro to practice law. Former U.S. Rep. Robin Britt ’63, ’73 (JD) brought him to Washington, D.C., to be his chief of staff. Then, at age 33, Tom became one of the youngest to be appointed a Superior Court judge. In 1990, in response to an overcrowded prison system that had inmates serving only a fraction of their sentences behind bars, Tom was appointed chair of the state’s Sentencing and Policy Advisory Committee. He and his colleagues created a model that used structured sentencing and alternatives to incarceration. It greatly enhanced the state’s ability to predict what prison resources it would need, and it restored truth in sentencing. Tom went on to direct the state’s Administrative Office of the Courts, for several years planning the educational program for Superior Court judges. He served as executive director of the Z. Smith Reynolds Foundation, distributing $20 million annually to nonprofits working toward social justice, economic development and pre-college education. 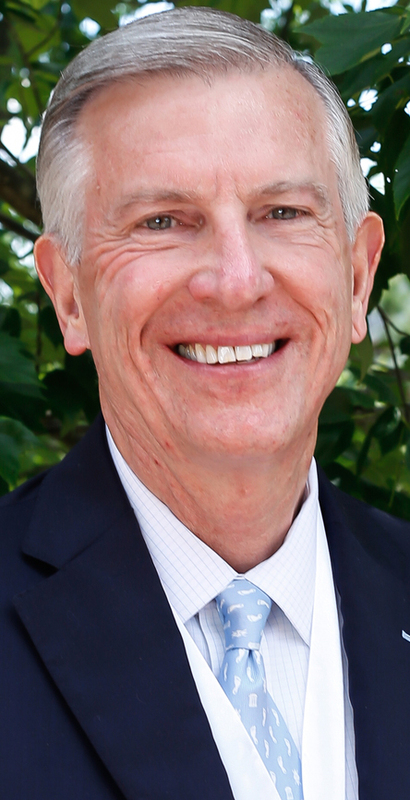 He accepted the Davidson presidency in 2007. As president of the UNC System, he has appointed 12 of its 17 chancellors. His legacy will live on through them.